Rather than tossing out the ‘Walla Walla Sweet’ onions that had started sprouting in her fridge last spring, Test Garden design assistant Lauren Dunec Hoang planted them in a corner of the Test Garden veggie bed. By midsummer, the sprouts had grown into fully formed stems, each one topped with a fist-size flower. (For an edible crop, onions are usually planted from seed, often in the fall.) 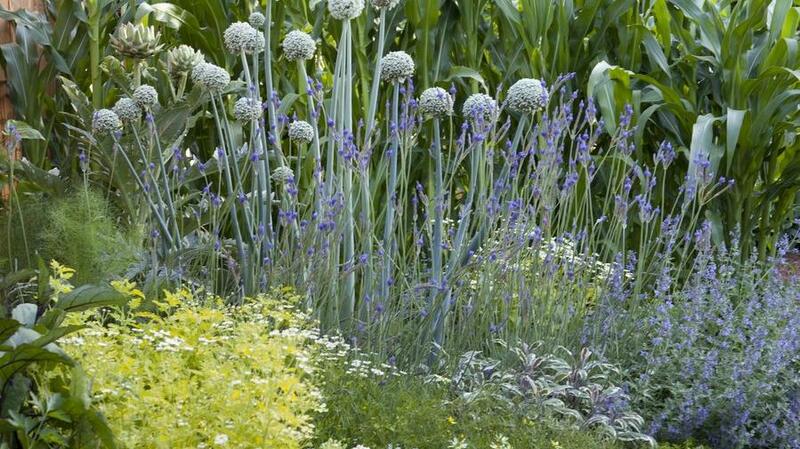 The surprising blooms were a great reminder that gardening is all about experimentation. “Onion flowers look like pompoms on top of sturdy stems,” Lauren says. What experiments have you been up to? Let us know in the comments below.